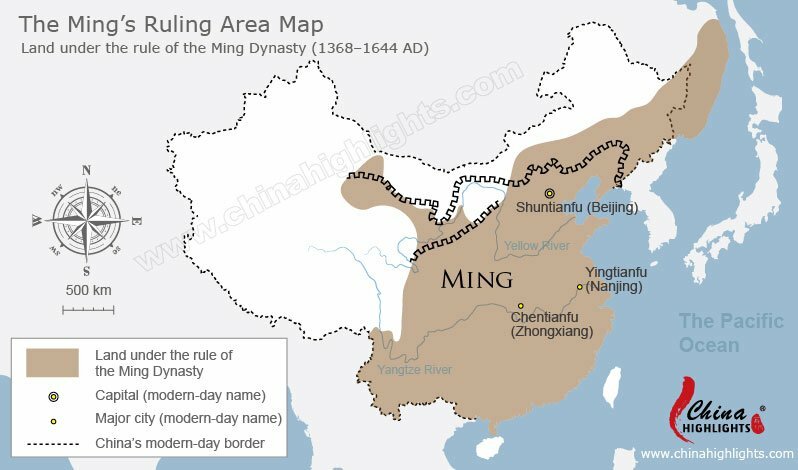 This map shows the land of the Ming Dynasty (1368 – 1644), which covered much less area than that of the Yuan Dynasty. The map also shows the capital city of Beijing, the Great Wall, and the modern-day borders of China and Mongolia. 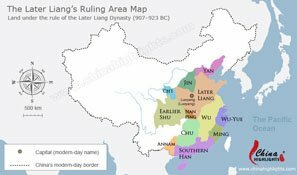 Check out more about Ming Dynasty.